Are you or your company interested in adding a night of dancing at WaterFire? 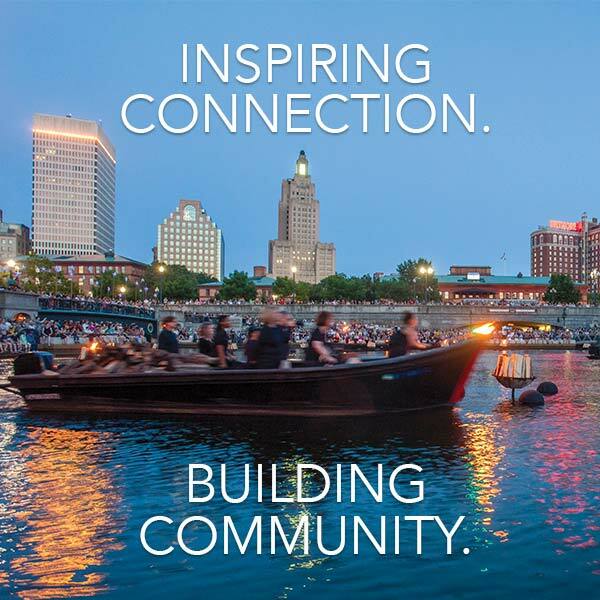 WaterFire Providence works closely with sponsors in developing strong partnerships and unique sponsorships that address specific marketing objectives. 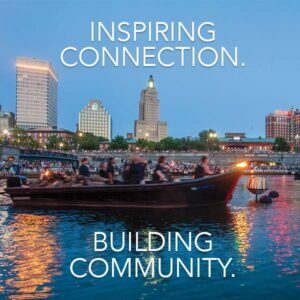 The WaterFire Ballroom is a very popular feature of the overall WaterFire installation, capturing the hearts and imaginations of hundreds of thousands of visitors throughout the years. 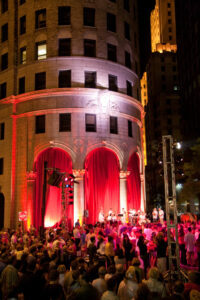 Previously known as the Sovereign Plaza Ballroom and then the TD Bank Ballroom, this popular venue features live music, dance lessons, dance demonstrations, and public dancing under the stars while surrounded by the breathtaking architecture of downtown Providence’s Financial District. A polished black dance floor, stretching sixty-one feet across, hovering just above the cobblestones, at the intersection of Westminster and Weybosset Streets is installed to facilitate the event. 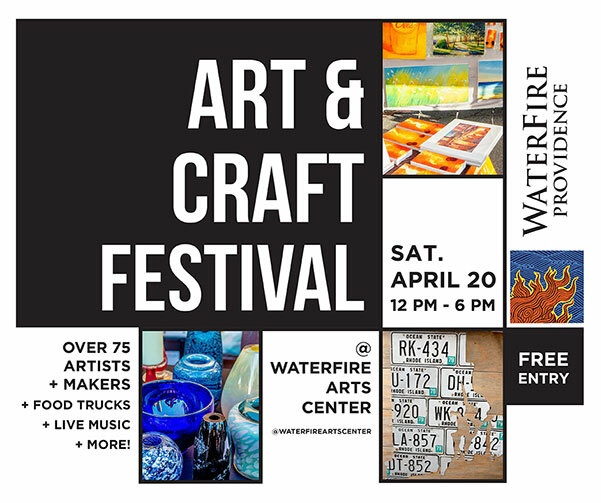 For information about sponsoring the WaterFire Ballroom please contact Ed Cabral by calling 401-273-1155 x 5541 or email ed@waterfire.org. To get there from WaterFire: Near Memorial Park cross either of the two pedestrian bridges at College Street and cross Memorial Blvd. The WaterFire Ballroom is just beyond where College Street becomes Westminster Street. Nearby attractions: A few blocks west down Westminster Street is the thriving new Downcity District with stores, restaurants, entertainment, and theaters.